Should I Upgrade My Cabin? When you are planning your vacation there are so many details to consider. You have to think about when to go; what time of year makes the most sense for you or for the area you want to visit? Who would you like to travel with; is it a romantic vacation for just the two of you, a family vacation or a getaway with a group of friends? How long do you have to spend? How much is your vacation budget? If you know me or if you follow my blog, you know I like to river cruise. Let me discuss this topic in regard to river cruising. I’ve enjoyed over half a dozen cruises on different cruise lines and with different people. Sometimes I’m cruising with friends, sometimes I’m escorting my groups so I’m solo in my cabin and sometimes I’m with my husband on vacation. Being with different people makes a difference in which type of cabin I prefer. Are you the type of person that likes a lot of activity and socialization? Do you enjoy quiet time, down time, private time? Are you ok with small or confined spaces? How organized or neat are you? 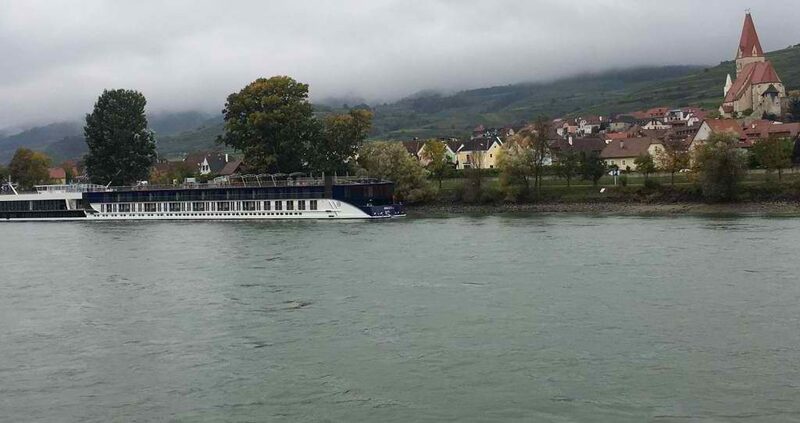 River cruising can be quite active as you are in different towns each day. If you like to explore, you may not spend as much time in your room. 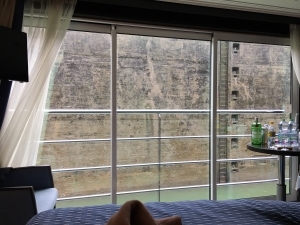 If you’re cruising the river and prefer to be in the lounge listening to the cruise director’s commentary on what you are seeing as you pass, you may not spend as much time in your room. Be sure to know your social preferences and pay attention to the itinerary you’re sailing and how much time you’ll actually spend on the ship. On the flip side, you may like a quieter experience. Crowds and socializing may tire you out or be stressful for you. Or perhaps you just like to take your vacation stretched out in comfort watching the world go by. It’s certainly nicer to have a good view from your private room to do so. If you have claustrophobia issues and don’t like confined spaces, the smaller and lower cabins in a river cruise ship may not be comfortable for you. With the windows placed high up in the room and sealed shut, they are definitely darker and generally smaller than the upper cabins with walls of windows or sliding glass doors. Also consider the size of the room and how well you can share it with someone else. If you’re neat and organized, this might not be as much of an issue. If you tend to run in and drop your belongings wherever they land, a little more room might be a benefit. I am currently sailing on the Danube with my husband on vacation and we chose to upgrade our room. 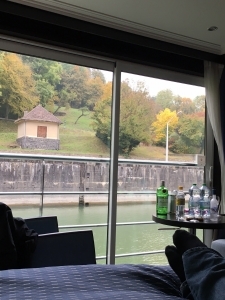 After two days of touring, meeting new people and sharing the lounge as we sailed through the Wachau Valley, we escaped to our room and completely enjoyed the experience of the French Balcony room. 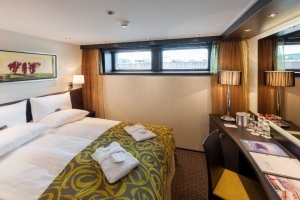 I also have to give Avalon Waterways a plug for their “Suite Ships” and the design on these rooms. To date, they are the only cruise line to face the bed out toward the wall of sliding glass doors and it’s WONDERFUL! As I type this blog, I am sitting comfortably on my bed, feet up, propped against multiple pillows and relaxed. The room is at a perfect temperature for me and I’m watching the shore line glide by as we sail up the Danube River. We’re heading into one of many locks and it’s fun to sit here watching the ship rise up the wall. I have a drink from the mini-bar and once I’m done typing, I’ll likely read my book for a bit before getting ready for dinner. Upgrading your cabin is a personal preference and only you know what’s right for you each time you travel. For me, I have completely enjoyed this experience and will likely choose it again in the future if it fits the itinerary and the company I’m traveling with. I hope this helps you to determine what’s right for you and also that there is no right or wrong answer. Each situation is different and I think the most important thing is to consider all the factors before making your decision. After all, it’s YOUR vacation! !